Francis Chan is a pastor of Cornerstone Community Church who does not believe in tithing and gives 90% of his income away, and in 2008 it was reported that his church gave 55% of it’s income to charitable causes. Listed the whole audio of Francis Chan on giving. Look again, nowhere in any of Paul’s writings does Paul ever speak once of tithing. 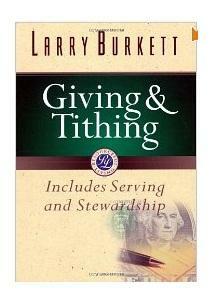 If tithing was such a big critical topic, surely the Apostle Paul would have mentioned it often. I believe that Paul understood giving very clearly and he never enjoined tithing on any Christians. Nowhere in John’s or Peter’s writing do we see any mention of tithing. I believe what Paul said is best… “Be generous and willing to share”. If anyone simply took the time to read about the church in the book of Acts, they would see that they often met in homes, did not retain a full time preacher, did not tithe, and did not build cathedrals.